Just as all parents “know” that Hebrew School are failures; all Jewish teachers “know” that Soccer is to blame for that failure. I want to write in praise of Soccer. Soccer is probably less successful than Jewish schools. Fewer AYSO participants grow up (especially in America) to be professional soccer players than Jewish students grew up to affiliate with Jewish institutions. The Passover Seder is probably more repeated item in adult Jewish lives than the corner kick. But, Soccer is really good at teaching some things and instilling some values. Soccer is really good at teaching players that they have obligations to their teammates. Youth soccer is really good at dealing with diversity and drilling in the acceptance of less successful players. It does teach the value of practice, the importance of conditioning and the thrill of victory (sometimes). Any questions about the good of sports, watch The Bad News Bears. Ironically, if there is one criticism of Youth Soccer is that it is a drop-off activity that doesn’t involve the family. Like the Bravermans’ on Parenthood, we probably need more times when the whole family plays sports together. Perhaps the only significant criticism of Youth Soccer (and the other drop-off activities) that our students participate in comes from Joseph Chilton Pearce who criticizes the adult involvement and control of organized sports. He teaches, “Play is the only way the highest intelligence of humankind can unfold.” He is the parenting philosopher who best gives voice to the teachings of Vivian Gussin Paley. Here is the bottom line: Soccer manages to be compelling while Jewish studies rarely play as well in the elementary years. (Very few Jewish preschoolers have negative experiences). The drop-off part of the experience is more a parental complaint than a destructive force. Drop-off is not a reason to end Jewish schooling, though teaching about belonging as well as soccer teams do is a worthy goal. It remains our challenge to make students’ time in Jewish schooling as “rewarding” (notice I didn’t say “fun”) as soccer. If I was going to choose the number one sport activity it would be skateboarding for its affirmation of individuality and its goal of progression. But, the simple truth is this, I no more choose our students leisure time activities than I do their media use. My truth, I don’t want Jewish learning judged on the leisure time scale, any more than I do real school. Compelling, individual, affirming and caring is the goal of all learning. Our job, is not the corner kick, but doing those things well. Over the past couple of weeks at least seven gay, lesbian, and transgender students have committed suicide (http://www.msnbc.msn.com/id/39593311/ns/us_news-life). The biggest response has been actualized by the Trevor Project (http://www.thetrevorproject.org/) a hotline for LGBT teenagers. The issue has been one of bullying. I may have missed it, but I have seen no Jewish response to the situation. If I haven’t seen it, please let me know about it. In 2002, after the shooting at Santee, California, one of the rash of school shootings that popped up as a response to bullying, echoing the massacre at Columbine High School. I called the material Agents of Peace . Not the best name for the material in hindsight. 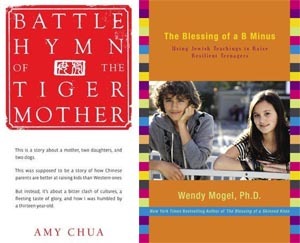 I was interested in teaching the idea that it is a communal responsibility to put an end to bullying—and that the Jewish tradition offers some clear strategies that echo the popular literature on bullying. Ask any kid and they will tell you that telling the teacher makes no difference. The first thing all of the anti-bullying literature will tell you is “tell the teacher.” The teacher needs to know, but if the teacher does his/her job well, no one else will know about it. The research shows that while some victims are shattered by having been bullied, the bullies are those most at risk for negative futures. When we bring teachers into the equation and open the possibility of counseling and other help, we protect the victim and can help the victimizer. Doresh Shalom/Rodef Shalom (Seeking Peace/Being an Agent of Peace) being will to go out of one’s way for peace—and being will to give up for the sake of peace. Someykh Noflim (Lifting Up the Fallen) going out of one’s way to comfort anyone who is hurting. Tokhekhah (Constructive Negative Feedback) mastering the ability to help people see their flaws and work on fixing them. If we can transmit these—we can do things to make schools safe in a way that policement, locker searches, and metal detectors can never hope to do. A school culture that examines and rejects bullying can make a difference. Confronting bullies is not a sure behavior. It may end the behavior or it may make the person who confronts the bully the next target. Boys tend to bully through name calling and physical intimidation. Girls tend to bully through exclusion and through embarrassment in front of peers. Supporting the victim can help to mitigate the damage and hurt. We can train students to support those being bullied. Bullies play to audiences. Breaking up the “gang” that stands behind the bully can extinct the bullying. All of these insights can be connected to Jewish roots. The sermon! Jewish schools should take responsibility to train their students to be “agents of peace.” This means that should teach that not only is bullying wrong (and should never happen in a Jewish setting) but that being a Jew means supporting and helping anyone who is wrongly victimized. Here is a simple bottom line, “Building sacred community means building social responsibility. Social responsibility sometimes happens in our schools and not in poor African countries.” How are you going to help your students to help? In putting together this model we have tried to do two opposite things. The first is to make little structural change in the ways schools operate. We still have grades, classes, blackboards, textbooks, and the like. We have not asked for radical change from teachers. They still get to plan lessons, use traditional teaching strategies, and manage their classrooms (when needed) in a professional manner. The second is to get maximal impact by enhancing the traditional classroom with the opportunity for group work and camp-style relationships. Teachers give up nothing by working in this style. They only gain greater flexibility and greater support. The price they pay is the mastery of a few skills that will enrich what they are already doing. The hardest of these is re-envisioning their classrooms as changed but not changed. The class divides into Bet Hillel and Bet Shammai and prepares for a debate. One madrikh helps each group prepare. They read two pages of material, rehearse arguments, and pick speakers for a mock Sanhedrin. The teacher gives the class texts to study in hevruta (dyads), The students find a partner and read through the texts, answering the questions. The madrikhim shepherd their groups, sitting among them and facilitating the process. 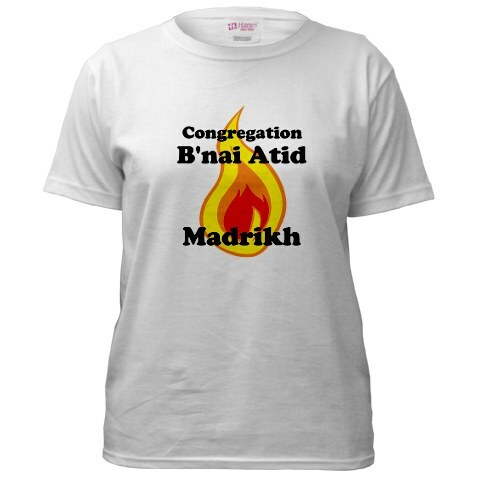 Then, at the right moment, the madrikhim gather their flocks and debrief the hevrutot in groups of eight. Three groups go off with their madrikhim. Each group prepares a play about a different event in Sarah’s life. They then come back to class and perform. The class is working on the blessings before the Haftarah. Groups of five are formed. The teacher takes one group: so does each of the madrikhim. The teacher asks the class to read chapter seven and work on the questions at the end. Each table works through the questions with the madrikhah. There is no writing, but there are excited small-group discussions. The first grade is doing a synagogue scavenger hunt. Each table goes off with their madrikh, looking around the entire building for the eight things that they need to find. The teacher sets up her room in learning stations. A madrikhah sits at each station and works individually with the kids as they rotate past. The teacher announces that there will be a Hebrew vocabulary quiz and a prize for the table that has the best collective score. The kids dive across their tables, whispering and huddling as their madrikhim serve as their coaches, training them for the upcoming challenge. The teacher asks each student in the room to work individually. The teacher and the two madrikhim work the room, checking on the progress of each student. The last madrikhah sits with the two kids who would not successfully work on their own and leads them through the material. For the school there are costs, too. And we are in a day and age when costs matter. There are two or three or even five years more of teachers because students are studying through twelfth grade not seventh or ninth or tenth grade. There is supervision and training for both madrikhim and teachers. There is salary money for the madrikhim. And (I’ve heard principals worry about this) there is the cost of a set of T-shirts. But let’s look at the benefits. We keep more kids in the building and as part of the learning process longer—though it may take a few years to build into this model. We provide students with a warmer and more personal school experience. Teachers have a great series of successes and have partners in their enterprise. The school builds a deeper connection with families, and families become part of a group that bonds them to the synagogue. A system of role models is established that leads more and more students to continue their Jewish education through the end of high school. More and more Jewish teachers are trained and created. The bottom line is that all of this leads to greater fulfillment of the Jewish mission. You are currently browsing the archives for the Jewish Values category.